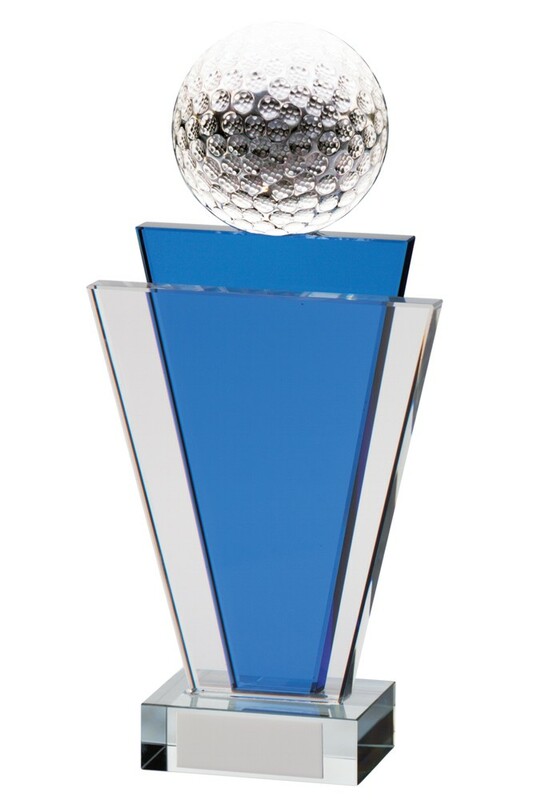 Gauntlet Crystal Golf Ball Tower Award. Available in 3 sizes, 155mm, 180mm and 200mm high. Crystal golf ball tower with blue tint. Comes complete in a presentation box.